I couple years ago I made these clips for an issue of Simply Handmade magazine. If I were smart I would have posted them weeks ago in time for St. Patrick's Day... but I have Mommy Brain :) So here they are now, for next year! 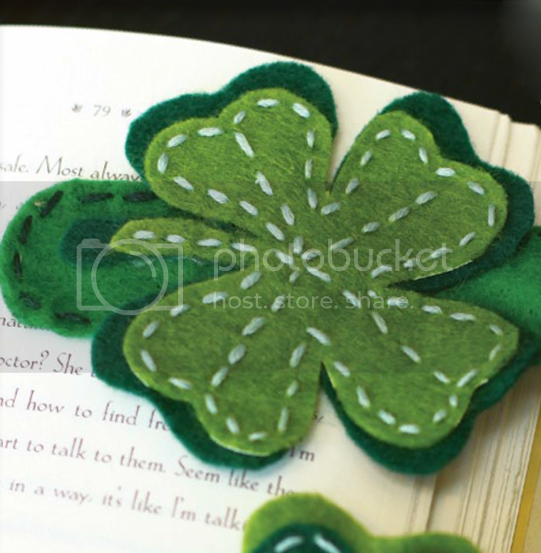 Clips are 4 x 3"
How to: Cut out a shamrock from dark green felt, a slightly larger shamrock from light green felt, a four-leaf clover from light green felt, and a slightly larger clover from dark green felt. Layer the smaller felt shapes onto the larger ones and hand stitch around the edges and down the center of each leaf with light green floss. Cut out two rounded strips from green felt and hand stitch around the edges with dark green floss. 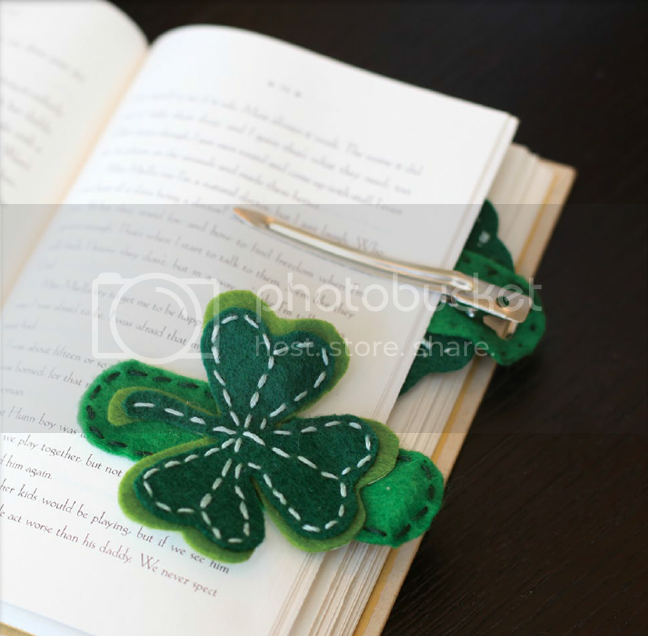 Glue the felt strips along the tops of two hair clips then glue the stitched shamrock and four-leaf clover to the green strips. How very cute and crafty!